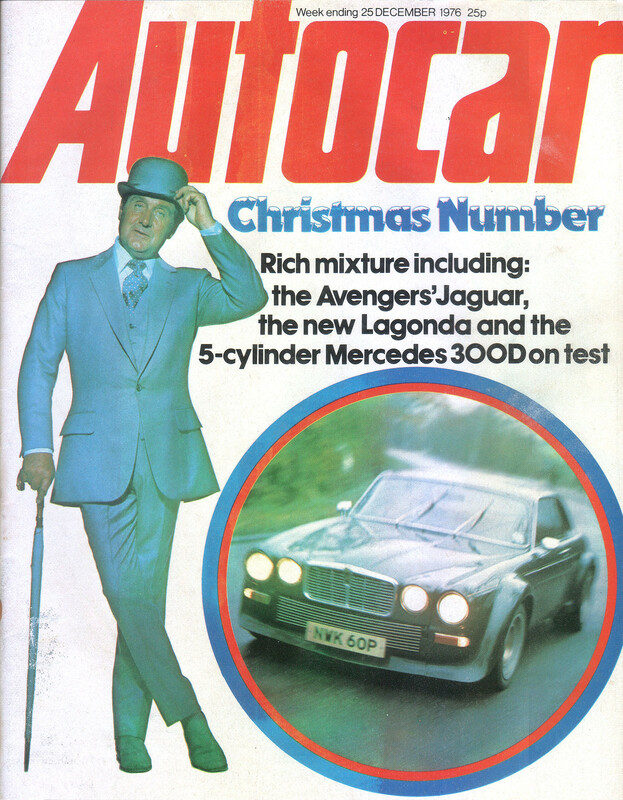 In memory of the great Patrick Macnee, who died on June 25th, we dig into the crates down in the depths of Amazo Plaza to find the 1976 Christmas issue of Autocar, which featured Steed's Jaguar XJ12C from The New Avengers. 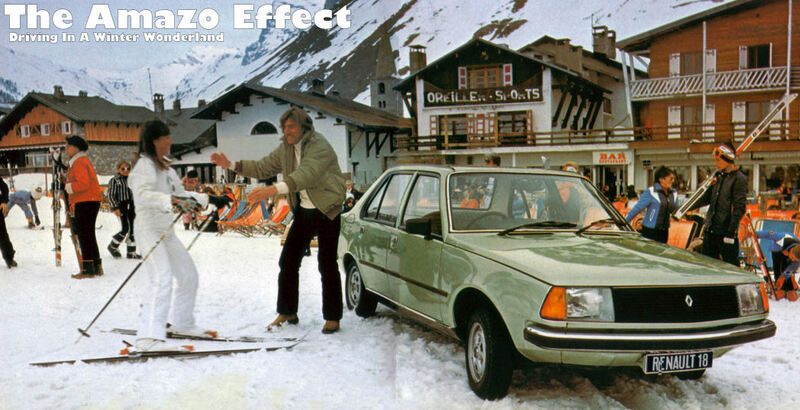 For those of you who are not aware, British Leyland offered Mark One productions the use of cars from their range (as BL would get free product placement, natch) for use in the series. Gambit got a Range Rover, Purdey an MGB (and later a TR7) while a Rover SD1 was also used. Now when it came to Steed's' car, it was only right that he should have something a little more special (he was used to Rolls-Royces and Bentleys after all). 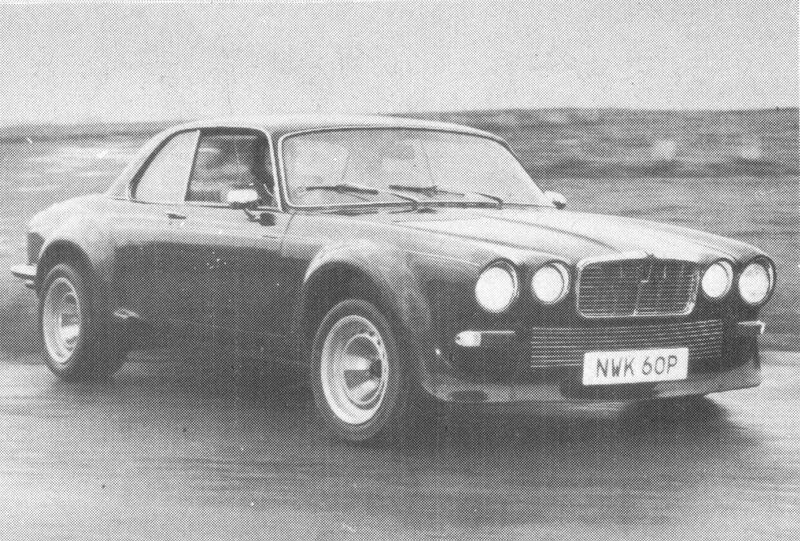 So an XJ12 series 2 Coupé was chosen; the actual car was a 1973 example, chassis no. 2G 1008, a development hack used by Jaguar to develop the XJ Coupé and originally painted lavender! BL commissioned Ralph Broad to convert the bodywork to look like one of his XJ12 racers. 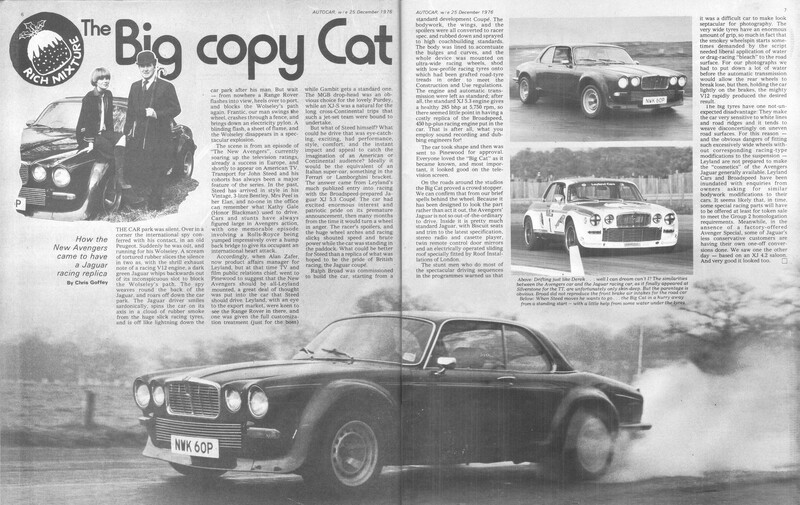 As far as running gear goes, the car was kept strictly standard, but with the aid of post-production, The Big Cat (as it was nicknamed by the production crew) roared all over our TV screens during 1976 and 1977.